Unpacking The Visible Backpack. The Very Visible Backpack. Start brushing teeth; realize, Now would be a great time to unpack and put things away. Go to the bedroom, start putting things away using both hands, leaving toothbrush in mouth, inert. 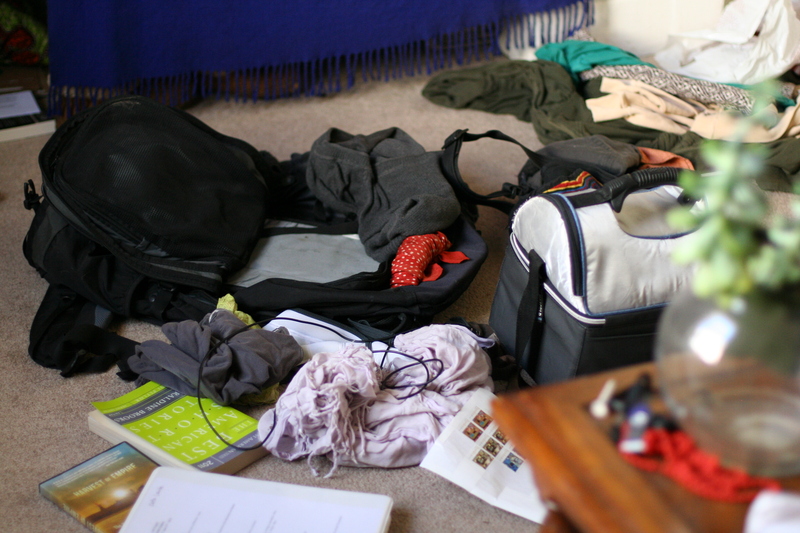 Actual multitasking is not occurring, since the brushing of teeth has stopped, but the simulation of multitasking is enough to pickpocket one precious tidiness-minute from the messy, smug morning.